Clinton Washington is a soulful singer that got his start as a contestant on the 8th season of NBC’s The Voice. On the show, he racked up millions of YouTube views during his time on the show. Clinton‘s self-titled debut was released last month. It is a concept album that takes listeners through the phases of a tumultuous, deteriorating relationship, all while forcing them to rethink contemporary pop music. 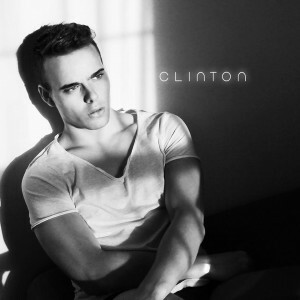 Hailing from Arkansas, Clinton got his start in music singing in his church choir, gigged around town, and grew as his music slowly became a priority. After college, Clinton took a marketing job in New York knowing that the city is a hub for musicians. This led him to try out for The Voice. Thanks for your time! So, what’s a typical day look like for you lately? Thank you for taking the time! Every day is a little different for me, which is making things in LA pretty exciting. I’m working again in marketing but spend most of my nights and weekends recording and performing. I’ve finished my record and am gearing up for its release and upcoming shows in the LA area. Growing up, did you always want to be an artist? Can you imagine yourself doing anything today? I knew I always wanted to do something creative. What exactly, I really didn’t know. I sang a bit in church and school choirs when I was much younger and then drifted from it a bit. I picked up singing again in high school but had terribly low self-esteem when it came to my voice. I was wrecked with doubt and insecurity and so I didn’t sing until college. A friend of mine began singing with me and little by little, I became more comfortable with my voice and expressing myself in that way. A few short years later and I haven’t really looked back. I really can’t imagine myself doing anything else. I wake up every morning thinking about my next steps in this industry and working towards this bigger goal. Can you talk about your experience on The Voice? What do you think is the biggest lesson you learned on the show? Would you do it all over again today? Do you watch it at all now? Of course! The Voice experience was amazing. I wouldn’t trade it for anything. The biggest lesson I learned from being on the show was that no matter the outcome of a situation, there’s always a silver lining. I’ll admit, I wanted to be there much longer, but I wasn’t. And it was pretty hard the first few weeks back in New York, but then I remembered how lucky I was to be a part of something so wonderful. It opened me up to experiences and opportunities that I’m incredibly blessed to have. I would do it all over again, without a doubt. I’d do things differently, for sure. And I do watch it now! I watch old performances on YouTube and I catch the new episodes whenever I can. It’s so much fun to see it happen on TV and remember those times I had backstage with the other incredible artists. How excited are you to perform at the iconic Viper Room in LA next week? I’m so excited to share my music and get to meet and hang out with my friends and fans that have shown me such incredible support along this journey! What’s been a favorite show of yours and why? My heart will forever belong to Parks and Recreation. There’s a sort of charm and humanity within the humor on that show that not only makes you laugh, but makes you feel something in a very real way. (Laughter) The characters and the story-lines are just so smart and hilarious, you really can’t beat that show. Where did you get the inspiration for your debut album? What was the process like of putting it together? I was inspired by New York City, really. I was inspired by my friends and by my own experiences. I wish I could say that I’ve lived every one of these songs, but I haven’t. And that’s probably a good thing. I try to see experiences and moments through other people’s eyes. I imagine certain situations (like being in a club in “Hearts Beat Loud”) and build upon what I’d like to see happen with the characters. Of course, all of this is drawn from the City and the people that surround me, always inspiring. I wrote all but one of these songs within a month’s time. I started with “Frozen” (which I had been performing for about 2 years) and began to piece together the album. I worked with a producer for “Hearts Beat Loud” and “Secrets” and as we sat listening to the final products, the collection of 3 songs had this theme and arc. It started to tell a story, so as I kept writing and working in the studio, each song started to fill a void in the album. They fit together in this concept and with varying vibes and feels. 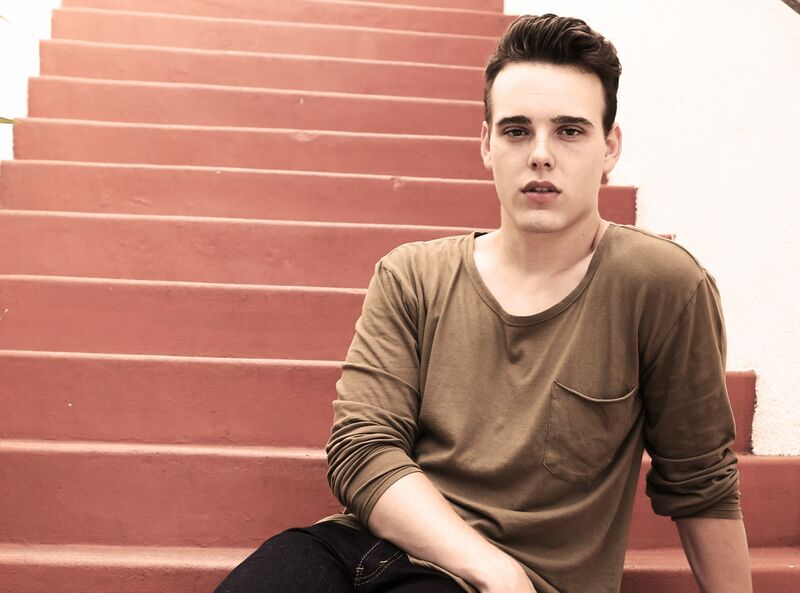 The video for your first single “Hearts Beat Loud” is incredibly powerful. Can you talk about writing the song and putting the video together? Oh, thank you! I wanted a dance track with powerful vocals and an interesting electronic-synth sound, so I started writing that. As I began putting the lyrics and melody together, it started to feel like a club song. I started rewriting the lyrics as if I were at a club and kind of living this moment of sporadic attraction and built the story from there. The video seemed like a natural extension of the lyrics and emotional vocals. The Director, Matt Hefferon, and I wanted to keep it simple and direct, focusing on the content of the song. We shot in locations around the city, which was the background of the lyrics. What was it like for you moving to LA from Arkansas? How was it making that transition? Luckily, I spent some time in New York, which definitely made the transition easier. It’s always a little scary to pick up and leave a city and network of people you love. But I knew there were better things for my career in LA, so it made the move a little less painful. I’m still getting settled here in LA, but loving it so far. I’ve met some incredible musicians and artists, fueling my creativity and pushing me to want and do more with my own career. I’m a huge fan of Michael Bolton. And I don’t care who knows it. I don’t believe he writes his own music, but vocally, he’s a champ. He and his late 80s/early 90s counterparts are who I like to listen to to get ideas for vocal melodies. The voices are big and dramatic and saturated in everything great about that era in music. I’m not sure if I pull it off, but it’s so fun trying. I’d love to work with Mr. Bolton, of course, but he’s got a lot going on… so let’s say Adele. Oh my gosh, what a question! Well, I’m doing my best to not say something cheesy. My music is definitely not curing cancer or ending world hunger, but I do hope that it makes someone in this great, big world feel something. I think that’s the message that every artist wants to communicate. Music is supposed to make you feel something, whether it’s your voice, your lyrics, your instrumentation, or a combination of it all. I try to make music that means something to me with that the hope that it means something to someone else. Thank you for your time, I really appreciate it! !